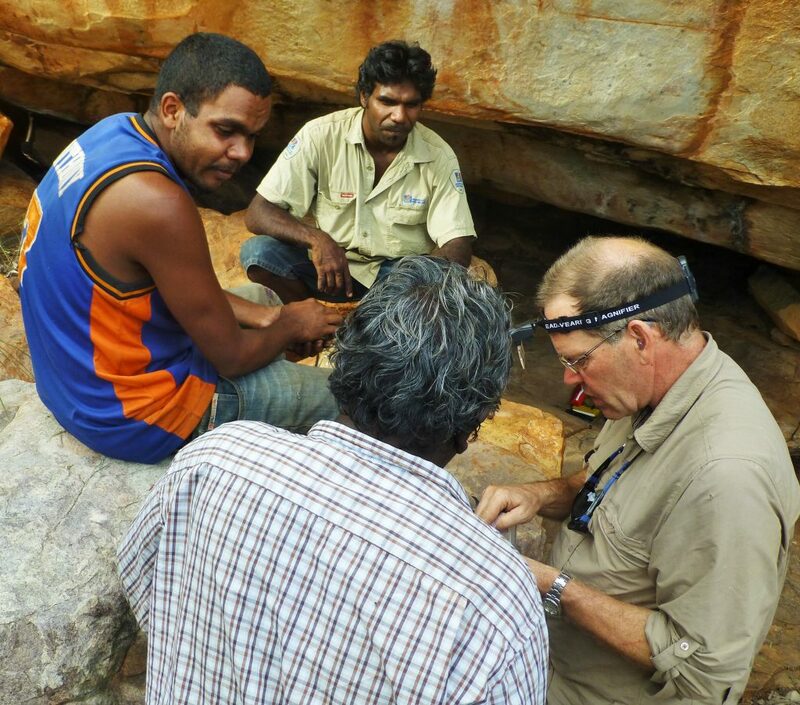 KFA funds research and initiates research centred on Kimberley rock art. We support a broad range of researchers from the fields of archaeology, geology, palynology and related areas who work with Aboriginal communities to uncover Australia’s earliest settlement history. All research sponsored by KFA is undertaken in concert with the relevant Prescribed Body Corporates, Traditional Owners and Protected Area Ranger programs as well as industry stakeholders to ensure engagement, cultural relevance and compliance. We are committed to supporting the next generation of Kimberley researchers. The Foundation will consider applications for research that effectively address relevant aspects of our published priority research themes. The Kimberley Foundation Australia itself does not undertake any research. It funds and also initiates research. We do not obtain Section 16 permits on behalf of researchers. It is expected that if you are applying for research funding from KFA you already have the support of your university/tertiary institution and you are familiar with the Indigenous research protocols. Research involving the permission and support of Aboriginal Corporations must be able to demonstrate that research protocols are understood and that the requisite consent to research is in place / forthcoming.